Me - My topic for this month is my favorite TV shows. They are Full House, Glee, Friends, and Nashville. Full House and Friends are so funny. Full House has the most incredible family of all time. It is one of my biggest dreams to have a family like that when I'm older. I have always wanted to be part of big family that all lives in one house and that is really close. If the Tanners are my dream family, the group of Friends in Friends is my dream group of friends. I would love to have a group of Friends like that when I grow up. Nashville has so much drama and suspense. It always leaves me wanting more. Glee had Rachel and Finn. the best TV couple ever. Do I even need to say more? It also had great songs sung by amazing singers. It was funny too. That's why these are my favorite shows. Mom - My topic for this month was going to be the Oscars. However, overall, I thought they were pretty boring so instead I am going to focus on Leonardo Di Caprio's win of the Oscar for Best Actor for his role in the Revenant. People have made such a big deal out of Leonardo finally winning an Oscar after 4 previous Academy Award nominations for Best Actor. However, five nominations without a win is nothing compared to the amount of nominations others have received for awards they never won. Peter O'Toole was nominated 8 times for an Oscar and never won. Richard Burton was nominated 7 times for an Oscar and never won. Glenn Close was nominated 6 times for an Oscar and never won. Numerous Broadway actors have been nominated for a Tony Award at least five times and never won. Kelli O'Hara just won her first Tony this past June after five previous nominations. Katy Perry was nominated for a Grammy 13 times, Martina McBride was nominated for a Grammy 14 times. Snoop Dogg was nominated 16 times. None of them ever won. There are numerous other singers who were nominated for a Grammy between 11 and 15 times who never won. However, all of that is nothing compared to actress Susan Lucci who was nominated something like 18 or 19 times in a row before she finally won a Daytime Emmy for Best Actress in 1999. Now that is a long wait! And that's our view. What's on your mind? Tune in tomorrow for Tips for Tuesday. Not sure what 20at20 is exactly? Arrive at the Davenport Theatre 20 minutes prior to any performance of Daddy Long Legs from now through March 13, and your ticket is only $20! Lovey Williams - "One Man Band"
Parents of a group of teenagers leave to hit the vaudeville circuit. The local sheriff (Joe Gately) threatens to send the kids to a work farm unless they do something productive. So they end up by doing what they do best - putting on a show. The lead teens – Val and Billie (Justin Schuman and Lauren Chapman), are joined by Val’s younger brother (Courter Simmons), the Sheriff’s daughter (Lilly Tobin), her beau (Casey Shane), one-time Hollywood child star (Tessa Faye), and two talented black brothers (Neville Braithwaite and Sebastian Maynard-Palmer). A wealthy young Southerner (Perry Sook) offers to help, but only under the condition that the two black kids are removed from the show. All the kids protest including Calhoun’s best friend (Keaton Tetlow). And the show does go on with the help of a French aviator (Vincent Ortega) and an impressive array of other talented kids (Julia Franklin, Michael Lorz, Evan Mayer, Ryan Rhue, Connor Russell,Hannah Slabaugh, and Hannah Spacone). Of course their show is a success – it contains nothing but Rodgers & Hart classics including: "My Funny Valentine," "Where or When," "The Lady is a Tramp," "Johnny One Note," "Imagine," "I Wish I Were in Love Again," and "Babes in Arms." The original production was choreographed by George Balanchine and marked the stage debuts of Alfred Drake and Dan Dailey. The Imagination Movers are a high energy, interactive live music act for families and the Emmy-winning stars of a hit TV series seen worldwide on the Disney Junior channel. Formed in 2003 in New Orleans, the Movers partnered with Disney in 2007 and filmed 75 episodes of their Emmy Award-winning series over three seasons. The show aired in more than 55 countries and they’ve sold half a million CDs and DVDs. Their ninth release, “Licensed to Move,” debuted in early 2015. The CD is bundled with a DVD that contains a live concert performance as well as music videos. The Imagination Movers are currently developing an animated series “Super Movers” in partnership with Toronto-based 9 Story Media Group. The Imagination Movers are performing in New York City on March 12 and Huntington, Long Island on March 13. Due to popular demand, the critically acclaimed, sold-out family show, The Very Hungry Caterpillar Show will extend its run at the 47th Street Theatre (304 W 47th St.). through April 17, 2016, originally slated to close on March 27. The extension will also include an updated performance schedule with shows on Friday at10am & 12pm; Saturday at 11am, 2pm & 4pm; Sunday at 10am, 12pm & 3pm. Tickets are $49.50 -$65.50(Premium Seats) and can be purchased by visiting ticketcentral.com or by calling 212.279.4200. Producers of The Very Hungry Caterpillar Show also recently announced two special performances including an Autism friendlyperformance on Saturday, March 12 at 4:30pm and a Spanish language performance on Saturday, March 19 at 4:30pm. The Very Hungry Caterpillar Show, features a menagerie of 75 enchanting puppets during a magical 60-minute show that faithfully adapts four of Eric Carle’s beloved books for the stage: The Artist Who Painted a Blue Horse, Mister Seahorse, The Very Lonely Firefly and, of course, The Very Hungry Caterpillar. For more information, visit HungryCaterpillarShow.com. Brooklyn Center for the Performing Arts at Brooklyn College continues its 2015-16 season with Moscow Festival Ballet's double bill of one-act ballets, Romeo and Juliet and Carmen, on Saturday, March 5, 2016 at 8pm. Tickets are $36-45 and can be purchased at BrooklynCenter.org or by calling the box office at 718-951-4500 (Tue-Sat, 1pm-6pm). Brooklyn Center for the Performing Arts at Brooklyn College continues its 2015-16 season with The Beauty of Ballet, a free lecture demonstration presented by the School of American Ballet (SAB), on Sunday, March 6, 2016 at 2pm. This event is free, with no tickets or reservations required. The 45-minute, family-friendly presentation will illustrate how students develop into accomplished classical ballet dancers, alternating examples of advanced classroom training exercises with the performance of excerpts from notable ballets. School of American Ballet faculty member Katrina Killian (a former New York City Ballet soloist) and advanced students from SAB will be featured in the enchanting and informative introduction to the art of classical ballet. How do ballerinas dance on their toes? How do dancers spin and turn without getting dizzy? How do male dancers jump so high? Those questions and more will be answered during the demonstration, and favorite moments from ballets such as The Sleeping Beauty, George Balanchine's The Nutcracker™, and Swan Lake will be performed to live music. The Beauty of Ballet is recommended for ages 4 through adult. 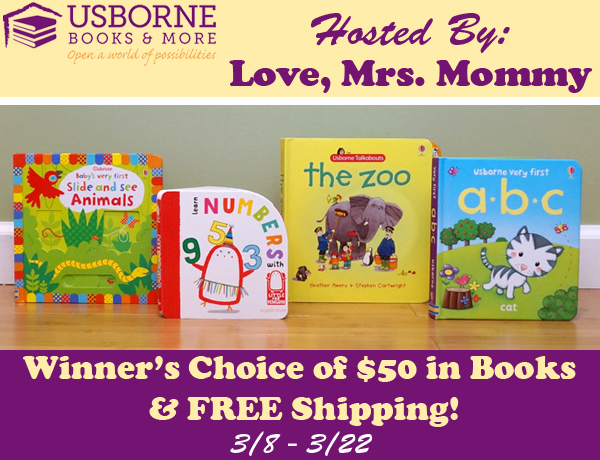 Love, Mrs. Mommy is hosting a wonderful giveaway for 1 lucky person to win their choice of $50 in books from Usborne Books & More! Plus, FREE shipping! I need your help promoting! There are FREE and Paid Options Available. I look forward to working with you to promote this great giveaway for our kids! Thank you for your help! This giveaway is open to the U.S.
Their Choice of $50 in Books + FREE Shipping! A fun and easy art project to do is to create a theme collage,. Theme collages are great for all ages because they can be as simple or complicated as you want. The numbers of different themes you can use for making a theme collage are unlimited because there are all types of magazines with all types of pictures. You can also be more specific, for example, a particular sport or a particular animal. What else can you think of to make a theme collage of? Me - Blossom Russo vs. Amy Farrah Fowler, wow! I love Blossom and The Big Bang Theory. They are too of my favorite shows. Mayim Bialik was in both of them. She was mentioned in The Big Bang Theory even before she was on the show because they talked about the girl who played Blossom. That was funny. It was only funny because she ended up being on the show otherwise it wouldn't be funny. Blossom is a sitcom from the 90's about a teenage girl. The Big Bang Theory is about four geniuses and their girlfriends or as they say on the show three geniuses and Wolowitz. 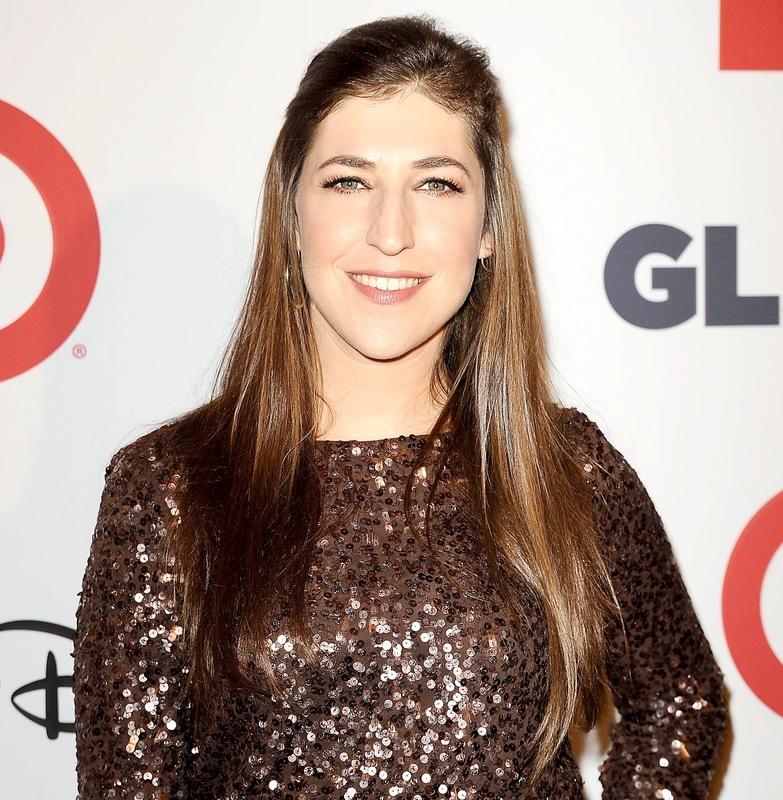 In the Big Bang Theory, Mayim Bialik plays Amy Farrah Fowler a neurobiologist. In Blossom, she plays Blossom. Blossom is really smart and talks in really big words, but she isn't nearly as smart as Amy Farrah Fowler. Blossom is a teenager and Amy is an adult. Blossom is a typical teenager. Amy wasn't even a typical teenager when she was a teenager. Amy dresses like a little old lady. Blossom has a really good sense of style. I would definitely wear Blossom's clothes. I don't plan on wearing Amy's clothes until I am like 105 and maybe not even then, but I do plan on being 105. However, I do love the character of Amy, and I think it is funny the way she dresses especially when it is girls' night out. The other girls dress to impress in their sexiest clothes, and Amy is just wearing her regular clothes. Blossom and Amy are two of my favorite characters. Mom - As a teen, Mayim Bialik played Blossom Russo on Blossom. As an adult, she plays Amy Farrah Fowler on The Big Bang Theory. The characters are similar in that they are both very smart. Yet, they are also very different. Blossom is much hipper than Amy. She is smart but she is not a nerd. She dresses well and is popular and attractive. Amy dresses like an old woman at least twice her age. She only has a boyfriend because her boyfriend Sheldon's two friends set her up with him because she and Sheldon matched up so well on paper. They were totally perfect for each other even though for the longest time he didn't even want to admit they were boyfriend and girlfriend. Blossom Russo didn't have nearly as much trouble getting a boyfriend or a date. Blossom grew up with her best friend Six and she had other friends as well. Amy didn't really have friends until she was a grown-up. Blossom was an ultra smart fairly confident character and a good role model for girls. Amy Farrah Fowler is an extremely smart sometimes confident character and in some ways a good role model for girls in other ways not so much. Both characters are fun to watch especially Amy who is one of the most hilarious characters ever on television. And that's our view. Who do you think are some of the funniest characters ever on TV? Tune in tomorrow for Funtivity Friday. We were given a free tour of Carnegie Hall for review purposes. Any and all opinions expressed here are our own based on our experience. Mom's view: If practice isn't going to get you to Carnegie Hall, why not just go and take a tour? Carnegie Hall is one of the most well-known concert venues in the world. On the tour, you will learn everything you could every want to know about this famous venue and more. You will learn about the history of Carnegie Hall. You will learn about what makes the sound so good here. You will learn about some of the famous people who played the venue. If you are interested in finding out about those who have played the venue, you will particularly enjoy viewing all the signed pictures located on the walls throughout the Hall. If you have any interest in history, architecture or entertainment, you will find this tour interesting and informative. While the tour is open to all ages, it is probably not a tour that young children would enjoy as they who would probably be bored. The Tour ends in the Rose Museum. The Rose Museum is a free museum located within Carnegie Hall for more about that see below. Mom's view: The Rose Museum is a free museum located within Carnegie Hall. This museum contains many artifacts. Pictures. posters, tickets, musical instruments, album covers from some of the many albums that were recorded at Carnegie Hall are just some of the historic items that can be found here. There are also some more unusual items including a Beatles program with Paul McCartney's name wrong, a Peanuts cartoon, and even the spade used to lay the cornerstone of the building. No matter what kind of music you are into classic, rock, Broadway show tunes, you will find something of interest here. If you are a history buff, a music buff or an entertainment buff, you will particularly enjoy this museum. And that's Mom's view. Tune in tomorrow for another Talking Topic. Me - Today I am recommending Thirteen Going on Thirty. It's my favorite movie about a kid who suddenly becomes a grown-up. It was really romantic. Jennifer Garner is really believable in the lead role. I also like that when she becomes a grown-up unlike in other movies of this type everyone else has grown-up too. Also, the end is good. The end is my favorite part. Any and all opinions expressed here are our own. Mom -Today I am recommending He Named Me Malala. 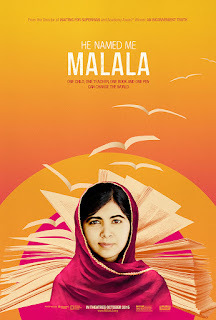 He Named Me Malala is a documentary about Malala Yousafzai, the young girl who was shot by the Taliban for advocating for education for girls. 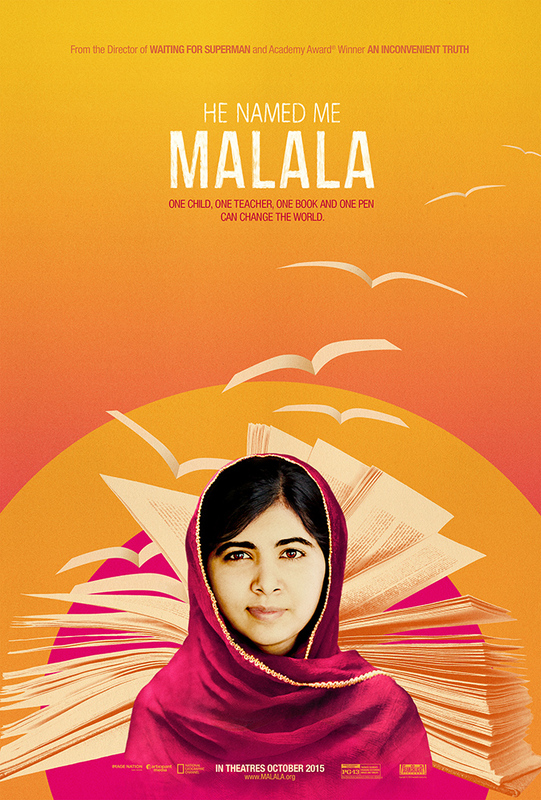 Even after she was shot she continued to fight to give all girls everywhere the right to be educated. To this day she still continues the fight although she is still not yet even twenty years old. This is one of the most inspirational movies I have ever seen. It shows that it doesn't matter what age you are, It doesn't matter what gender you are. Truly anyone can make a difference. This movie should be required viewing for anyone who doesn't believe that they alone can make a difference in the world. Me- Barbies, wow! Aurella and I used to love to play Barbies. We played games where the Barbies were in high school. My main character was always the most popular girl in school. I got to be all the other characters too. Aurellla got to be my sister. At mine's house, they would always have all the clothes and the shoes. Aurella's always got to have one dress and one pair of shoes. Sometimes, I let her borrow the clothes. Mine always got all the furniture. Hers always got one bed. Mine always got the cool boyfriends. Hers always got one nerdy boyfriend. We both always got one dog who later in the game always had one puppy. Then, later in the game mine and mine's boyfriend and hers and hers boyfriend would get married and have kids. I loved Barbies! Mom - When I was young, I loved to play Barbies. 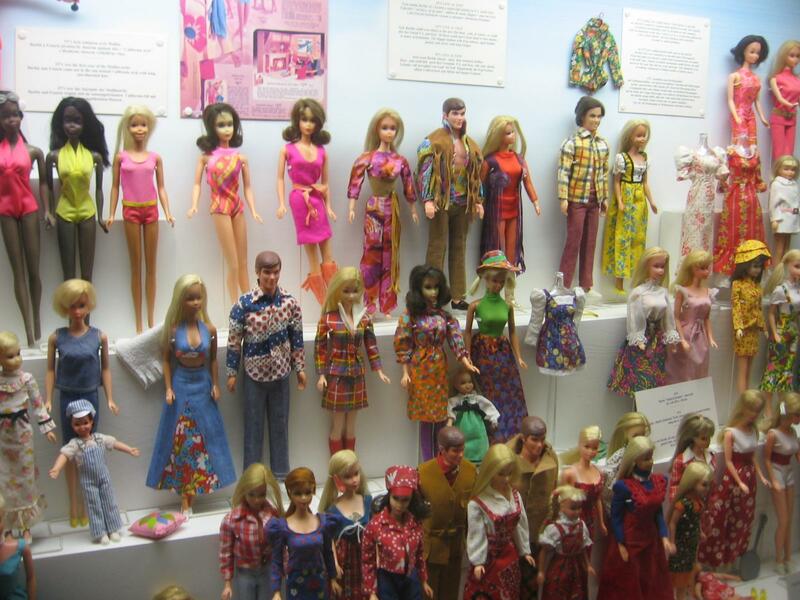 We mostly had Barbies, but we also had a bunch of Skippers, a few Kens and even a Francie and a PJ. They don't make Francie's anymore. She was sort of between Barbie and Skipper. They didn't make Kellys and Krissys then. They did have a Kelly, for a while, but she was like Barbie's friend or something not a little sister. PJ was a dark haired Barbie. I don't know if they make anymore of those either. 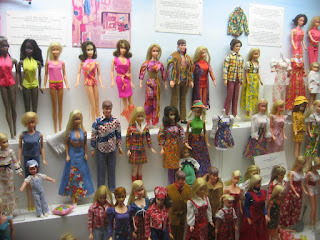 We had all different kinds of Barbies: Suntan Barbies, and Skater Barbies, Fashion Photo Barbies, Superstar Barbies and Quick Curl Barbies among others. Growing up Skipper and Suntan Skipper among others. Superstar Ken and Mod Haired Ken among others. We had tons of clothes. We had Barbie furniture although not as much Barbie furniture as my girls. We had a Barbie plane and a Barbie boat. I never had a Barbie house although I would have liked to. Melia and Aurella loved Barbies too. Aurella still does. 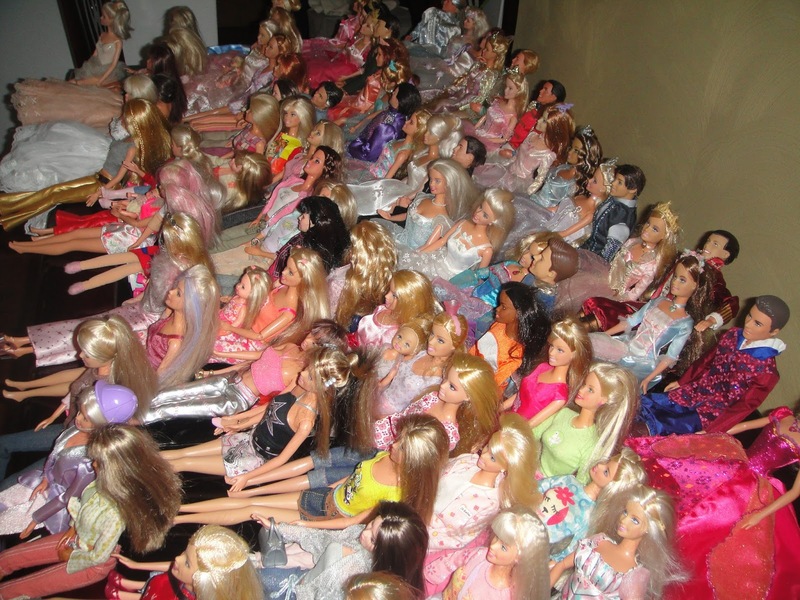 Melia mostly had Barbies based on TV and movie characters. Aurella mostly had and still has Barbies based on Disney Prince and Princesses. Whenever I see my daughters or any girl playing with Barbies, I feel nostalgic for my own Barbie playing days. And that's our view. What was your favorite toy when you were a kid? For special discount offers on some of the places we have covered on our blog check out our new Says Me Says Mom Special Reader Discount Page. This week's special offers features The Ride for more about The Ride go to Where--To-Go Wednesday: The Ride and The Ride and The Tour for more about The Tour go to Where-To-Go Wednesday: The Tour and The Tour. More special offers will be added to this page as they become available. Ruthless the Musical currently running at St. Luke's Theatre, 308 W. 46th St., New York, NY has been extended through June 18, 2016. For more information about this show see our previous posts: Where-To-Go Wednesday: Ruthless and Ruthless and/or go to the official web-site at http://www.ruthlessthemusical.com/. For more information or to register go to click here. Help celebrate the anniversary of Astronaut John Glenn's trip to space with space-themed workshops throughout the museum! For more information go to http://cmany.org/events/space-ships-martians-day-at-cma/. Clay Bar: Leap and Jump! : In celebration of the Leap Year, sculpt acrobatic animals, amphibians and reptiles that can jump and leap great distances! Such as...lemurs, frogs, grasshoppers and more! Fine Arts: Giant Symbolic Watches: Enjoy the extra time--and keep track of it!--by creating a giant symbolic watch. Doors open at 7:30 p.m. Show at 8:00 p.m.
are $35. VIP Meet & Greet are on sale at RickyandTrevorTour. com. You must have a regular admission ticket to be eligible to purchase the upgrade. VIP packages are limited. For more information go to http://www.iplayamerica.com/special-event/ricky-and-trevor-alivegold-tour. Hold On To Me Darling will begin previews Wednesday, February 24, officially open Monday, March 14 and play a limited engagement through Sunday, April 3, 2016 Off Broadway at Atlantic Theater Company’s Linda Gross Theater (336 West 20 Street). On learning of his mother’s death, world famous country and western star Strings McCrane (Olyphant) begins questioning the meaning of his life and what it all adds up to. Determined to abandon his celebrity and career, he moves back to his hometown in Tennessee. It doesn’t go well. This compelling new play from acclaimed playwright Kenneth Lonergan examines the costs of fame, fortune and narcissism in pursuit of the American Dream. Atlantic Theater Company’s Linda Gross Theater is located at 336 West 20 Street (between 8 and 9 Avenues). Tuesday at 7pm, Wednesday-Saturday at 8pm, Saturday and Sunday at 2pm. (Sunday evening performances 7pm: 2/28, 3/6, 3/20); Wednesday matinees 2pm: 3/23, 3/30. Regular tickets start at $65.00. Back20 tickets will be available for $20 starting February 10 for all preview performances. Order online at Atlantictheater.org, by calling OvationTix at 866-811-4111, or in person at The Linda Gross Theater box office (336 West 20th Street between 8 & 9 Avenues). • NO ADDITIONAL FEES on ticket reservations or purchases. • Unlimited ticket exchanges prior to a performance. • Priority booking in advance of the general public. • One guest ticket per production at 20% off. • Invitation to Member Only talkbacks and events. • Access to the exclusive member hotline. • 15% off any part-time Atlantic Acting School Classes. • Two FREE tickets to each Atlantic for Kids production. Memberships can be purchased online at AtlanticTheater.org, by calling OvationTix at 866-811-4111, or in person at The Linda Gross Theater box office (336 West 20 Street, between 8 and 9 Avenues). Angel Reapers captures the soul of the Shakers, an early American religious sect, which sought to connect with God through ecstatic ritual and strict celibacy. While the congregants strive desperately to maintain divine purity, the needs of the flesh threaten to take hold. With text by Pulitzer Prize-winning playwright Alfred Uhry, this wildly theatrical collage about the glorious love of the divine and the overwhelming desire for human connection marks the return to Signature of Residency Five playwright and MacArthur “Genius” Award winner Martha Clarke. For more information, please visit www.signaturetheatre.org. Please note that Charles Busch’s CLEOPATRA is dark on Mondays and Tuesdays. • FRIDAY, MARCH 25 – SUNDAY, MARCH 27 (4 PERFORMANCES): Friday and Saturday at 8 PM. Matinees on Saturday and Sunday at 3 PM. • MONDAY, MARCH 28 – SUNDAY, APRIL 3 (6 PERFORMANCES): Wednesday, Thursday, Friday and Saturday at 8 PM. Matinee on Saturday at 3 PM. Sunday at 7pm. • MONDAY, APRIL 4 – SUNDAY, APRIL 10 (6 PERFORMANCES PER WEEK): Wednesday, Thursday, Friday and Saturday at 8 PM. Matinee on Saturday at 3 PM. Sunday at 7pm. • MONDAY, APRIL 11 – SUNDAY, APRIL 17 (6 PERFORMANCES): Wednesday, Thursday, Friday and Saturday at 8 PM. Matinees on Saturday and Sunday at 3 PM. New York Theatre Ballet will perform at New York Live Arts from February 24-27, 2016. New York Live Arts is located at 219 W. 19th Street, NYC. Performances: Wednesday, Thursday and Friday at 7:30pm; and Saturday at 2pm and 7:30pm. Tickets start at $15, and are available online at http://newyorklivearts.org/event/nytb_2016, by calling the Live Arts box office at 212.691.6500, or by visiting the box office, Monday-Saturday 1pm - 9pm and Sunday 1pm - 8pm. LABAlive presents BEAUTY /LITERATURE, an evening of fiction, presentations, and subversive teachings exploring relationships with beauty on Thursday, February 25, 2016 at 7:30pm at the 14th Street Y. The evening will feature teachings by Ruby Namdar, new works read by LABAlive fellows Gal Beckerman, Gon Ben Ari, and Jessica Gross. A conversation with the artists will illuminate their creative processes behind the creation of the new works, and how the pieces developed through study sessions at LABA. The event will begin at 7:30pm at The 14th Street Y at 344 E 14th Street, New York, NY, 10024. Tickets are $20. To purchase tickets go to http://www.labajournal.com/literature , or call 646-395-4310. Big Apple Circus Embraces Autism! Big Apple Circus has joined with world-renowned Autism Spectrum Disorders experts to adapt The Grand Tour for families with members on the spectrum and create a joyful experience for all. The adapted show includes the same world-class artistry as the full performance with a shorter running time, adjusted lights and sound, a calming center, pictorial social narratives, and specially trained staff and volunteers to assure a memorable event for everyone! This special performance, a 75-minute abbreviated show, will take place on Wednesday, March 2, 2016 at 11am. All tickets to this performance are half price ($10-$50). For more information or financial assistance, please call (646) 616-6816. For wheelchair or special seating needs, please call customer service at 800.922.3772. For more information about accessibility at every Big Apple Circus performance, please visit: www.bigapplecircus.org/accessibility. The GrandTour runs from February 12, 2016 to March 13, 2016. To purchase tickets or for more information, visit www.bigappplecircus.org. Oakland School for the Arts in Oakland, California will present the world premiere amateur youth production of Andrew Lloyd Webber’s newest Broadway smash hit, School of Rock - The Musical, as the hit musical continues its professional Broadway run at the Winter Garden Theatre (1634 Broadway) in New York City. In an unprecedented move, Lloyd Webberteamed up with R&H Theatricals prior to the show’s Broadway opening on November 6, 2015 to make youth performance rights available to schools and youth theatres across the U.S. and Canada. In an exciting move, producer (and Oakland School of the Arts supporter)Carole Shorenstein Hays has invited OSA to present their musical on the historic stage of the Curran (where The Phantom of the Opera played for five record-breaking years) March 3 – 12, 2016. Producers Stephen C. Byrd and Alia Jones-Harvey announced today that the critically acclaimed Broadway bound Eclipsed will today launch a campaign to bring 10,000 girls to see the show. Through the “10,000 Girls Campaign,” girls from the Tri-State area between ages 16 to 24, who would not otherwise have the opportunity to experience a Broadway show, will be given tickets to see Eclipsed. Set in Liberia, Danai Gurira’s Eclipsed comes to Broadway on the heels of its sold-out, critically acclaimed production at The Public Theater last fall. Eclipsed stars Academy Award® winner Lupita Nyong’o joined by Pascale Armand, Akosua Busia, Zainab Jah andSaycon Sengbloh, and is directed by Liesl Tommy. Eclipsed is the story of five extraordinary women brought together by upheaval in their homeland of Liberia. They forge a close-knit community... one that inspires them to feats of increasingly greater strength. Individuals or organizations can sponsor girls by making a tax-deductible donation through the Broadway Education Alliance by visitinghttps://npo.justgive.org/BroadwayEducationAlliance. For more information, on the ’10,000 Girls Campaign’ visitwww.tenthousandgirls.com. Previews for Eclipsed begin on Tuesday, February 23, 2016, with opening night set for March 6, 2016 at the Golden Theatre (252 W. 45th Street). For tickets and information, please visit www.EclipsedBroadway.com. Groundbreakers with Kevin Sessums, Curran: Under Construction’s on-stage series of conversation and performance featuring today’s most compelling thought leaders and artists. One of the most influential figures in contemporary popular culture, rock legend and actress Courtney Love will sit down with the Curran’s Editor at Large, Kevin Sessums, for an evening of conversation and performance. Love will be joined by her friend and collaborator Todd Almond, with whom she shares a unique artistic alchemy. The wide range of topics will include that curious magic that occurs when artists collaborate and the fears that they must bravely overcome to create their art. Love and Almond will perform songs from his musical theatre piece Kansas City Choir Boy in which Love starred in New York and Los Angeles. Celebrating the publication of his new memoir, Master of Ceremonies (which was released just yesterday), Oscar, Tony, and Golden Globe winner Joel Grey talks to the Curran's Editor at Large Kevin Sessums about his storied life and career, touching upon his many roles including the Emcee in Cabaret, his history at the Curran, his 25+ year marriage and his decision to publicly come out last year at the age of 82. The evening will be one filled with show biz dish, heartfelt conversation, and even a performance or two. Tickets for these events, taking place onstage at the Curran (445 Geary Street) at 7:00 p.m. can be purchased for $25 via Eventbrite by visiting www.SFCURRAN.com. Don’t Bother Me, I Can’t Cope, a musical entertainment with book, music, and lyrics by Micki Grant and conceived by Vinnette Carroll, will be directed by Leslie Dockery. With five 1972 Tony Award nominations (including Best Musical) and an Outer Critics Circle Award for Best Musical the same year, the show also won Micki Grant a Grammy Award for best score—the first female to be so honored. Ms. Grant was also one of the stars of the show, which came to Broadway after successful runs in Washington DC, Detroit, and Philadelphia. The show ran for over two years on Broadway. A dynamic mixture of gospel, jazz, funk, soul, calypso, and soft rock, the show illuminates the African-American experience with vibrant song and dance. Don’t Bother Me, I Can’t Cope was described as “a cultural pulse-taking of the challenges facing the black community in America” and is the first Broadway musical written entirely by a woman and the first Broadway production to be directed by a female African-American. The performance schedule for Don’t Bother Me, I Can’t Cope is Saturday, February 27 at 2:30 p.m.* & 8:00 p.m., and Sunday, February 28 at 2:30 p.m.* and 7:00 p.m., Wednesday, March 2 at 7:00 p.m., Thursday, March 3 and Friday, March 4 at 8:00 p.m.,Saturday, March 5 at 2:30 p.m.* & 8:00 p.m., and Sunday, March 6 at 2:30 p.m. (*audience discussions follow these matinee performances). SUBSCRIBE AND SAVE! Single tickets are priced at $45, or buy both Muftis Shows for $65 and save $25. Musicals in Mufti tickets are available online at www.yorktheatre.org, by calling (212) 935-5820, or in person at the box office at the York Theatre Company at Saint Peter’s (619 Lexington Avenue, entrance on East 54th Street, just east of Lexington Avenue), Monday through Friday (12:00 p.m. – 6:00 p.m.). York Theatre Company Members save even more. The Membership Package, priced at $54, includes exclusive savings on all York Theatre Company performances, VIP Member-Only Receptions, priority access to special events and programming, discounts on lobby concessions and merchandise, and special ticket exchange privileges. For additional information, please visit www.yorktheatre.org. With a twelve-year track record of glowing critical acclaim, having picked up fifteen national awards along the way, the beloved "free-range, organic" duo Hullabaloo brings a fresh, spontaneous approach to their 12th album for kids and families, I Chew, set for release on February 26. SRP: $12.00 CD. $9.99 for digital download. Giveaway: Win a Portable Turntable! Giveaway: Fab Fit Fun VIP Winter Box Giveaway!